Over the course of his career, Ellis has shared stages with Stevie Ray Vaughan, Otis Rush, Willie Dixon, The Allman Brothers, Leon Russell, Son Seals, Koko Taylor, Albert Collins and many others. Whether he’s on stage with his own band or jamming with artists like Buddy Guy, the Tedeschi Trucks Band, Gov’t Mule or Widespread Panic, he always plays with grit, soul and unbridled passion. 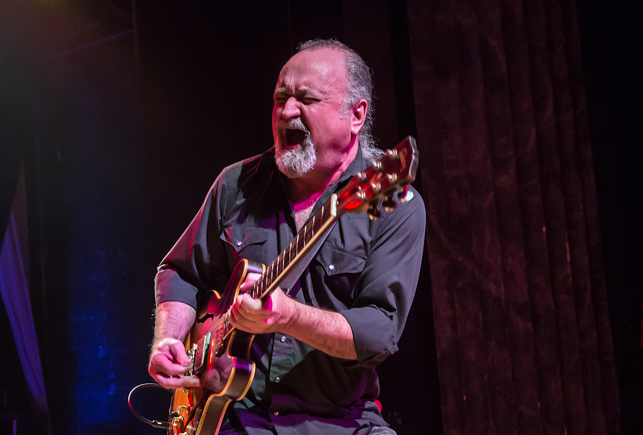 Back home on Alligator Records with his new album and a massive live tour in the works, Tinsley Ellis is ready to prove again that whenever he picks up a guitar, he’s playing with a winning hand. Special Guests Tommy Z band will open up!